The field of anthropology goes under the magnifying glass in this fiery investigation of the seminal research on Yanomami Indians. In the 1960s and '70s, a steady stream of anthropologists filed into the Amazon Basin to observe this "virgin" society untouched by modern life. Thirty years later, the events surrounding this infiltration have become a scandalous tale of academic ethics and infighting. 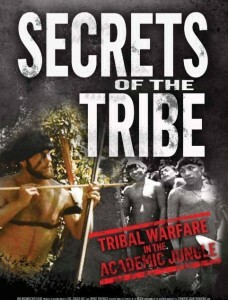 Secrets of the Tribe is a film by director José Padilha premiered at the 2010 Sundance Film Festival to critical acclaim. This documentary explores the allegations, first brought to light in the book Darkness in El Dorado, that anthropologists studying the Yanomami Indians in the 1960s and 70s engaged in bizarre and inappropriate interactions with the tribe, including sexual and medical violations. The film was nominated for a Grand Jury Prize.